At last we had a beautiful warm sunny day for our 7th Monday Golf Day at Cedar Green. No doubt this had an impact on the large turnout of ­­­116 participants of which 9 were new golfers to our Monday golf day this season. This evening you were allowed free lifts from any water without counting a stroke. Hopefully you were able to benefit from advantage and this resulted in an improved score. An updated attendance report has been posted in the ladies locker room and this week a copy will be included with this week’s newsletter sent by email. Please review the document to ensure the spelling of your name is correct and that the spreadsheet accurately reflects your attendance this season. If you wish to receive the weekly newsletter and an updated attendance record, you can provide your current email address to Linda Collison at lm_collison@hotmail.com . Next week on Monday June 19th, you can bring a friend or a family member and they can play for FREE, if they have not played Monday Ladies Day/Night this year. For that matter, if you have not yet been out this season to play Cedar Green Monday Ladies Golf Day you too can join us for our 6:00 pm shotgun start and your green fees for 9 holes will be FREE. This event is intended to entice new players to join us on Mondays. 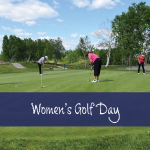 The newbies will have their green fees waived, and need only pay the $5.00 prize fee to be considered a participant in our Monday Ladies Golf Day. We can only accommodate 130 ladies on the course for our shotgun start, therefore please contact the proshop as soon as possible to book your starting hole. If you have booked a starting hole and for some reason you or someone in your foursome cannot golf next Monday, please contact the proshop to have your name taken off the sign-up sheet so golfers on the waiting list can be added. Ladies who golfed today were given an opportunity to book their starting hole in the proshop by writing their names on the Sign-up Sheet for Monday June 19th. Those ladies who were not present or forgot to sign up for a stating hole can still call the pro shop after 8:00 am on Tuesday morning at 705-560-1090. The twoonie pot in the amount of $163.00 was won by Lori Stewart.